Is finding a job in Japan difficult? A lot of foreigners who have lived in and/or studied in Japan, often return to their home country without finding a job. Of course, I can think of many reasons as to why this happens, like language and culture barriers, but, what is truly the cause of it? What does “culture barrier” really mean? Something about that didn’t sit right with me, so I’ve decided to talk to some people who work with or are involved with foreigners, see what they have to say and write my thoughts about this issue. “From this month, I’ll be going back home to China,” I heard the other day, from my friend. He is a bright, young man who speaks Chinese and English fluently, and can speak Japanese at a considerable level. That same person said he would be returning to his home country this March to teach English there. Every time I hear this, I’m always taken aback. With Urban Meetup Tokyo, in doing this type of work, we meet a lot of foreigners. To be able to meet and to become friends is a really wonderful thing. However, after one or two years, they decide to return to their home country. Of course, we encourage them to take what they’ve learned from their experience in Japan and do their best back home. After telling us, “If you come visit, I’ll show you around, so send me a message!” we also realized that we now have free tour guides all over the world. However, truthfully, I want them to stay so we can see each other whenever we want. According to the article published by the International Student Association, about 20,000 international students switched to an employment visa after graduating in 2016. In 2016, 22,898 international students applied to change their status of residence in order to obtain employment at a Japanese company, out of which 19,435 were permitted. Both the number of applications and those who were granted permission, were reported as being the record highest by the Immigration Bureau, Ministry of Justice. The number of permits has increased from 2011 for the sixth consecutive year, with China exceeding 10,000 people for the first time. On the other hand, although there are roughly 300,000 international students staying in Japan. Through simple calculation, out of those international students, only 7% will remain in Japan and find a job. Why is it that this person decided to live in another country and not remain in Japan? Culture differences, language barriers, family matters; of course, I think there are many reasons to this.  As I look into “Finding work in Japan” through this series, among those reasons, I hope to find the answer.